Many of my clients ask me if I think it is a good idea to use white fonting on their resume. White fonting is the practice of attempting to manipulate the Applicant Tracking Systems (ATS) that many companies use to sort through mountains of resumes by placing keywords (the words that describe the applicant’s skills and abilities) in the white spaces on the resume in a white font so they are not visible to the human eye but can be picked up by the ATS. At first glance it seems like a clever idea and a great way to pack in those important keywords without compromising the visual appeal of the resume so you can get your resume to the top of the pile and in front of the eyes of the recruiter and hiring manager with greater frequency. But the experts agree that the downsides of this practice far outweigh the benefits. Here’s why. 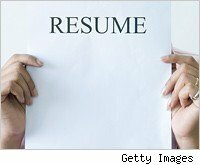 Your resume may not make it past the human scanner. Even in organizations where parsing software is used to sort candidate resumes, eventually a human will take a look at the resume as well. So while white fonting may help you get in front of the recruiter, it won’t help you get past him. If your resume does not contain the right keywords (in a visible font) or prove you have the skills to do the job, that recruiter won’t be contacting you — regardless of how many invisible keywords you stuffed into the margins of your resume. You may be dealing with an ATS that can’t read white fonts. All ATS systems are configured differently, and there is no way of knowing how each company’s ATS will parse your resume. The recruiter or hiring manager may be one step ahead of you. White font may be visible on some systems.